Rock legend Billy Joel, who holds the record at Madison Square Garden for the longest consecutive run of shows, will continue performing a string of concerts – about one each month – open ended at this time. We have good seats for every performance. “I’m a band guy, and when the band sounds good… I get into it,” Joel says. Billy Joel continues his tenure as a “franchise” at New York’s iconic Madison Square Garden with a crowd-pleasing set that delivered on every level, with the singer in fine voice and his sterling eight-piece band hitting on all cylinders. Well-aged as the set list may be, including “Everybody Loves You Now” from his first album “Cold Spring Harbor” in 1971, Joel and his band brought vigor and vitality to them all. The performance was celebratory out of the gate with the apocalyptic “Miami 2017 (Seen the Lights Go Out on Broadway)” followed by a pounding “Pressure,” as Joel, dressed in black and expertly manning his rotating baby grand, maintained an easy rapport with the audience. Get ready to rock! 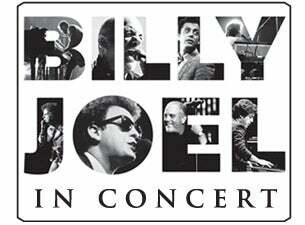 Billy Joel set a record for most performances by a single artist at Madison Square Garden – besting Elton John. “Welcome to Madison Square Garden – the center of the universe,” he said as 20,000 fans roared. 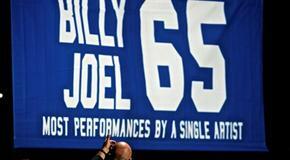 A banner rose to the top of the stage in honor of Joel’s 65th show. Actor-comedian Kevin James came onstage to help the veteran musician celebrate. The 66-year-old Joel, who was born in the Bronx, plays piano for most of the night, but also rocked on the guitar and harmonica. He has been performing at MSG once a month since last year.